Born in pre-War Bristol, Douglas Townshend joined the Hallé Orchestra as second flute in 1960 and three years later he became principal. He had studied with Mary Alexander and William Morris at the Northern School of Music. Before joining the Hallé he had been a member of the Sadler’s Wells Opera Orchestra. 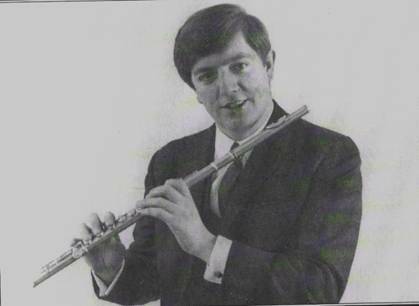 In April 1967, Townshend left the Hallé for the position of Principal Flute in the BBC Welsh Orchestra. Later he was appointed flute professor at the Welsh College of Music.